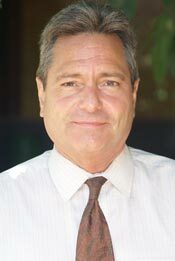 A well-known county ad executive told CalCoastNews this week he remains uncertain if he will be represented by an attorney upon his Sept. 15 return to a Santa Barbara courthouse to face a variety of felony charges. Jeff Lind, an Orcutt resident, has been charged with conspiracy to commit a crime; attempting to procure a false instrument for record; and attempted filing of a false document. Another man, Tom Murphy, also of Orcutt, has been charged with filing a false claim against a judge. The men allege in a variety of documents filed with the court that they are “sovereign citizens” and not subject to the court’s authority, and have demanded that the Santa Barbara court prove its jurisdiction over them. “I am still being cautious about an attorney for now,” wrote Lind in an email to CalCoastNews. Lind’s problems with the law started in Dec. 2010, when he was attending a DUI trial for his adult son in the Santa Maria branch of the Santa Barbara County court. After he exchanged words with the arresting officer, Lind was himself arrested on a mixed bag of felony and misdemeanor charges, including intimidation. A videotape of the incident, posted on KCCN.tv, appeared to reinforce Lind’s version of events, and on August 11, the two remaining misdemeanor charges against him were dropped. Some of the charges alleged by prosecutors are the result of filings by Lind and Murphy seeking to seize Kuns’ home after, according to the men, she “defaulted” on their claim by failing to respond to it. Lind and Murphy contend that attorneys owe allegiance to the courts, and not to clients. “The attorney, when they sign up and get a bar card, they’ve surrendered their American citizenship to Britain, to support and do what the Crown wants,” Murphy told New Times. Laugh all you want, but I don’t hear people complaining when the law enforcement and judicial systems file thousands of bad documents and frivolous charges *daily* and claim complete dominion over you in all aspects of life. If they are “insane,” then the entire judicial system is insane, in fact downright sociopathic, and it should be gutted and reworked. Why shouldn’t the government be required to document its legal right to do whatever it wants to you? If the chain of legislation is there, it shouldn’t be a problem. I’m not saying I support these guys’ position, I’m just trying to put it into perspective. If you think these guys are a bit nuts, then much of the judicial system is a bunch of lunatics. Right on. Like the tax code, much of it (the judicial system) should be thrown out and revamped. It’s a mess and like you said, why shouldn’t they prove their status and jurisdiction? We all (erroneously) assume cops and courts are like gods, they are sometimes nothing but slime. This website has certainly pointed that out many times. Our police and judicial system is broken and out of control, both from cost and abuse by law enforcement and the courts. The problem is the only way to change the system is to get the laws changed and how does that happen when the law makers who are in charge of the committees to oversee these agencies are almost always lawyers, which are a group that greatly benefits financially from the current screwed up system? No one can laugh, ITS TRUE. Kook or not, viewing the tape leads me to think the cops, DA and judge ought to get the chair for outrageous behavior. View the police report. It appears that Lind is caught in his own lie. What a waste of the court’s time. It’s no wonder the DUI officer was worried about this kook. Sovereigns have been known to kill cops and McVeigh was one as I recall. I doubt if this guy or Murphy (is he the Reclamator guy from Los Osos?) are dangerous, but they are radical in their beliefs here. And Christians have been known to kill millions indiscriminately, I believe that Truman was one and he dropped two atomic bombs. How is it that logic can be used one way to form your views on one group, but another way to form your views on a different group? You make assumptions about my views on Christians, and Truman’s actions for that matter. If you think these guys are right on and have a chance of winning a 77 million dollar suit, then we must just agree to disagree. WOW, Ugluk, That was an interesting read complete with all it’s added links. 100,000 American’s are involved or have been involved in this organization to some extent! Amazing, and now, here we have these characters trying it on with the local court system. I had no idea how they came to believe they could submit these sorts of filings including a levy on the Judges personal property. Now I get what sort of formula (flawed as it is) that they are attempting to implement but this has got to be the most bizarre and “INSANE” plan that I have ever heard of, let alone being bought into by so many educated citizens. If this group weren’t taking these hair brained ideas so seriously and creating havoc across so many states, it would be comical to watch. Knowing what they have been up to (The Reconstructionist aka Sovereign Citizens) is sort of mind boggeling. They have created quite a significant distortion of legitimate enties in some State’s and even at Federal levels over the last 20 years with all these fraudulent UCC filings, notes and bank drafts etc. What a mess. I agree with you, Cindy. However, I find this oddly reminiscent of what many people said about The Tea Party Movement when it was born…look at them today. Hehehehhe, Oh Danika, you can’t compare this group to the Tea Party. You obviously have no idea what they are about. Their ideology and plan is extremely convoluted but to give you a quick idea here goes. To detach themselves from themselves, they start with filing a UCC-1, essentially placing a lean against themselves. In doing so, they are placing themselves at the top of the list to collect any funds that are granted to any other future lien holder that their “strawman” (who is them) owes. I don’t fully understand it all , as they get rather elaborate with some transactions but here is an example of a so called simple standard response from a SC to our gov laws. For instance (this is just one example) Let’s say they get a traffic ticket, that would be the strawman that got the ticket because they themselves (the detached strawman) is a sovereign citizen and not subject to the rules imposed by the US gov. They will place a value on the ticket and file a UCC lean on it as owning something valuable that the gov can collect on but they are claiming that they as a sovereign citizen, have first rights to any money owed against it. Then they try to make the court pay them for whatever value they have placed on the ticket. So they incur a fine of $100.00 but they have valued it at $2,000 and placed a lien on it. Remember the strawman owes the money and they (the sovereign citizen) have first dibbs on anything the strawman owns or owes to anyone else. They will also issue a 1099MISC income form to the officer who issued the ticket claiming that the officer earned the money for the court. It doesn’t matter if the court didn’t get paid, they have a lien against any money that they owe to anyone (and they must be paid before anyone else is paid)! The IRS is extremely pissed off and so is the secretary of state because this is only the beginning of it. They set up accounts with banks and file liens on banks and issue instructions with legal looking UCC liens (actually the liens are legal but were filed illegally) to transfer funds and it is really very WILD!!!!!!!!!! Several states are currently hand examining every UCC-1 & UCC-3 lien that has been filed in the last 10 years trying to identify which ones are legitmate. It’s a huge mess. And that’s just the beginning, it gets better and this is sort of how they have now come to lien the judges personal property but it didn’t start with a traffic ticket. Sound crazy, it is although there is some logic behind it, it is a highly flawed logic and quite fascinating as in amusing. One only needs to study redemption and know something of Elvick to conclude that this is desparation, imho. This is hysterical, it sort of reminds of the tax protestors who claim that because they aren’t paid in gold, then they haven’t earned any real money and can’t be taxed on gov issued promises to pay. So far the tax courts don’t see it that way and have responded with assessing penalties, fines and jail time. Hopefully, the judge will find some humor in these guy’s attempting to attach her house. If the courts weren’t’ so back logged, this would make for some great entertainment. This guy is clearly from the Twilight Zone (creepy background music).